Y'all... I'm pretty sure I have the sweetest husband on earth. We don't do big, over the top gifts for each other, ever. It's just not us. So, needless to say, getting this beautiful, handmade planter to go along with my handmade signs was the best Valentine's Day gift this girl could ask for. The time and effort put into making me something with his hands (I should also mention without a single power tool!) is much more valuable to me than any store-bought gift out there. Just add this to the list of transformations he's helped make possible which has turned into a total front porch makeover. I am so thankful for a man that LOVES to work with wood and is willing to start any project that I suggest. 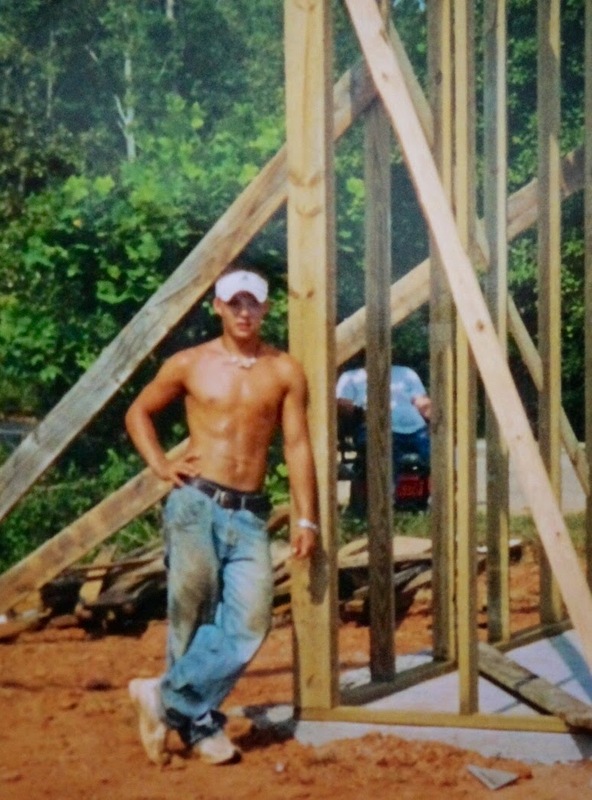 His lifelong hobby, (no literally.. when we met he was in the process of building a barn for his grandparents.. and I have picture-proof of that skill that he might actually kill me for! loveyoubabe!) is one that I can appreciate and have no problem supporting him wholeheartedly! How could I not when these are the results? I'm a lucky girl for sure! So, Happy Valentine's Day from my family (and 16 year-old Houston) to yours! I love that planter. And that six pack. You will always treasure what he's made for you! my hubby made me a sewing cabinet, and even though it doesn't fit my current machine, I'll always cherish it! Wow, I love your porch. So nice your husband made you that planter. Super cute! I need help with my front porch like that. Thank you! Isn't it? He's the best! His next project is an entry way table for the house. Can't wait! That's so sweet! I believe you are right. These things mean so much already! So sweet! I love the thought and effort that he put into it. Looks great! What a cute porch - and a handy hubby. Happy Valentine's to your family! Love the porch.. how sweet of him! !